If you meet their minimum credit score, they will offer you an interest rate for the loan amount and term you requested. For instance, if I go to the Wells Fargo repayment calculator, I see that the best rate they offer people is 7.2% (though most people will get a rate higher than this). For example: if I got the $15,000 3-year loan in the above picture, I would pay $1,730 in interest. But if Wells Fargo offered me a higher rate like 12%, then I would pay $3,000 in interest! That is a difference of $1,300, a solid reminder that interest rates are important. This usually occurs over a number of years until the loan is paid back in full, but many borrowers choose to pay it off early (this is called prepayment). Some loan companies charge a fee for early payment, but Wells Fargo does not. If we compare Lending Club and Wells Fargo side-by-side, we see that in many ways they are the same. Both companies offer loans to people that are unsecured, meaning they are not tied to any collateral like a house or car. Also, both have no prepayment penalty if you want to pay the loan off early. Lending Club’s maximum loan is $40,000. But Wells Fargo offers loans nearly three times as large – up to $100,000. Lending Club only offers 3-year and 5-year loans. Wells Fargo, in contrast, offers a wider selection of terms: 1-year, 2-year, and 4-year repayment options. 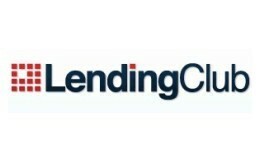 Lending Club Can Be Easier. Wells Fargo Can Be Quicker. At Lending Club, everything is done online. They less like a bank and more just a website, and this means you never have to leave your house to get a loan through them, which can be really nice. Wells Fargo requires you to visit one of their branches in person to get the loan finalized. But the benefit Wells Fargo offers is a same-day loan. It is possible to get approved for a loan at Wells Fargo and walk out of one of their branches that same day with cash in your pocket (well, a check actually). In comparison, Lending Club takes six business days to get you your money. So you may want to ask yourself what you need more: (1) the ease of applying at home on your computer, or (2) the quickness of going into a Wells Fargo branch and getting a loan on the same day you apply. Many people do not consider the options when they need a loan; they simply go with whatever they know. But this means that many of them are stuck with higher interest rates than they could have received somewhere else. For instance, take people with perfect credit. In our example from earlier, we saw that Wells Fargo offers borrowers with excellent credit a 7.23% interest rate on a loan. However, Lending Club offers borrowers with perfect credit a 6.78% interest rate on a loan (this includes Lending Club’s origination fee). Imagine I got a $35,000 3-year loan with each. For the Wells Fargo loan, I would pay $4,037 in interest. For the Lending Club loan, I would pay $3,778 in interest. That is a difference of $259 for the exact same loan. CNN: Is Peer to Peer Lending the Future? If you want to see the entire Lending Club loan process outlined greater detail (with screenshots), you should read about my own Lending Club experience. I got a $2,350 loan from them in six days and really enjoyed the entire process. YMMV stands for the phrase ‘your mileage may vary’. It means that no site on the internet (including this one) can predict which will offer you a better loan for your specific needs. It may be the case that you look for a $25,000 loan at both Wells Fargo and Lending Club, and get a better rate with Wells Fargo. Or maybe you need a $50,000 loan, an amount that Lending Club does not offer. Whatever the case, I suggest you check your rate at both and go with whatever is better. That said, I believe that Lending Club not only offers lower interest rates to people with excellent credit (as we saw above) – they offer lower rates to everyone. I believe that, on average, most people are going to get a better rate on a personal loan if they go through Lending Club. Check your rate with Lending Club, and get started toward your loan. Great comparison. It was an interesting read. I agree LC offers better rate than WF. What surprises me with WF is that they should be able to offer competitive rate to current customers considering they have the transaction history for the customer and can easily monitor the income and expense history and gage repayment capability. The online lending is breaking the gouging by banks like the online brokerage did to full service brokers. This is a wrong assessment of interest rates. LC does not offer better interest rates than Wells. That totally depends on each person’s credit, and no one has done the analysis to see that at each credit level who has better rates. Also what about the origination fees that LC charges that Wells does not? If you recently opened a credit or debt obligation (not including a home mortgage) a major bank would more likely decline your application. This is with a 760+ credit score, a reasonable debt to income ratio, and a decent amount of reserves in the bank. Dealing with my experience, I would go with Lending Club, unless you wait about 90 days to apply at a major bank. Usually your credit report would say something like “an account or accounts have been recently opened with not enough history”. I would go with Lending Club. I got a $25,000 personal loan while Wells Fargo declined me, and I bank there. If you have good credit and no late payments, discover card personal loans is also — good up to $25,000. Does Lending club allow for a cosigner on a loan? Yes Lending Club has cosigned loans.